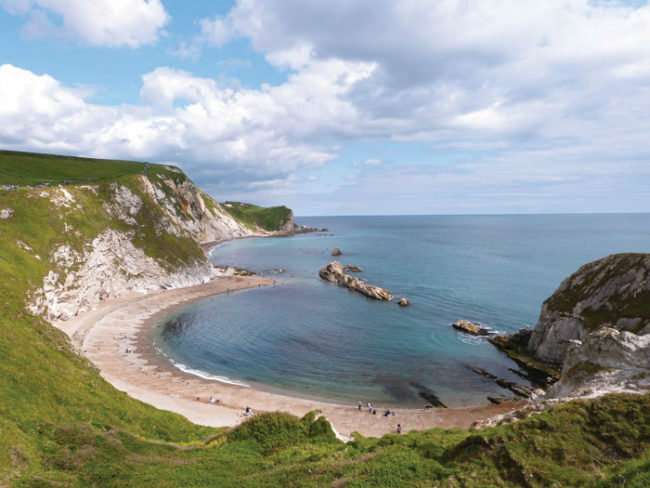 Devon and Cornwall – The Great Canadian Travel Co.
Connect with England’s noble past and spirituality, as well as the legends of King Arthur. Rates are shown in US$, per person, based on two people sharing a twin room and one person in a single room. Reduced rates are available for children ages 5-15, based on one child sharing a room with an adult or two children in a twin room. Canadian $ rates are also available – please inquire. Leaving central London, you travel through Wessex, one of England’s ancient kingdoms. From this bustling city, you head to a quieter but equally profound place: the standing stone circles of Stonehenge. 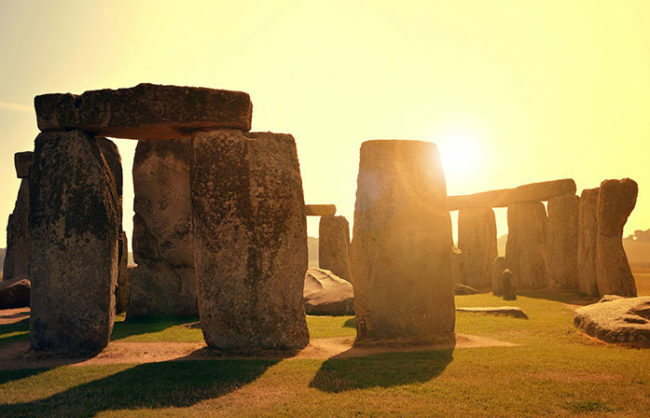 A UNESCO World Heritage Site, the Stonehenge site has been skilfully preserved. At the award-winning visitor centre, you can view the exhibition of hundreds of prehistoric items from the Stonehenge collection. By joining the land train shuttle, you make your way to the world-famous stone circles. 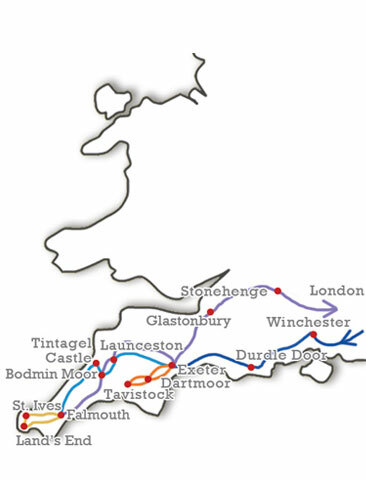 You then travel to Exeter, an important fortified settlement in Roman times and your base for two nights. Please note this tour will stay in Torquay instead of Exeter on 13/07/18, 14/07/18, 16/07/2018, 18/07/2018, 17/09/18, and 19/09/18. Explore the remote windswept magnificence of Dartmoor, where you can see strings of the native ponies grazing close to the striking rock formations. Dartmoor is also home to an immense diversity of flora and fauna, so enjoy the sights, sounds and smells of the moor’s isolated beauty. You cross the ancient Clapper Bridge at Postbridge before heading to Tavistock, the historic market town and birthplace of Sir Francis Drake. Arriving back in Exeter in the early afternoon gives you a chance to explore the city’s ancient riches at a leisurely pace. The city walls, the Norman cathedral, the Royal Albert Memorial, and the Quayside all await you. Arthurian legend mixes with genuine Celtic history in Cornwall, England’s most western county. Today, you explore the ancient Cornish capital of Launceston and its 12th century Norman castle. You head west to the North Cornish coast and the Elizabethan fishing village of Boscastle. 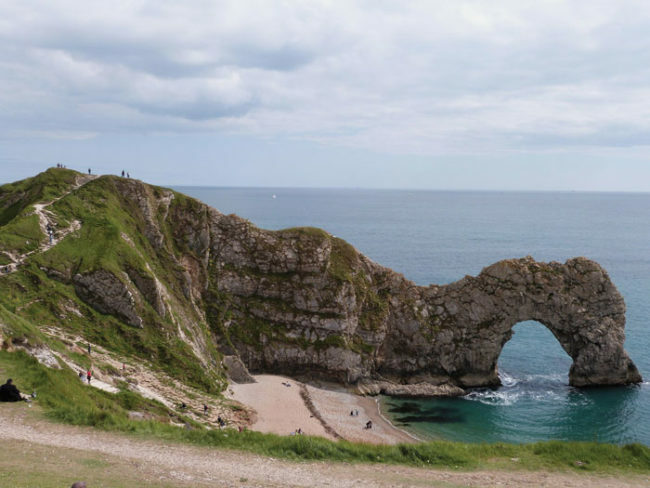 Indulge in a cream tea, take a stroll out to the dramatic headland, or learn a spell or two in the Museum of Witchcraft. 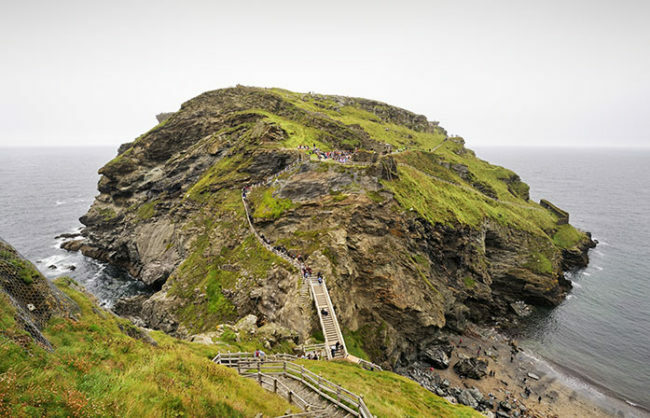 You travel to the village of Tintagel and the ruins of its headland Castle, whose romantic cliff top setting is purportedly the birthplace of King Arthur. After lunch, you head south to the bustling port town of Falmouth for the next two nights. 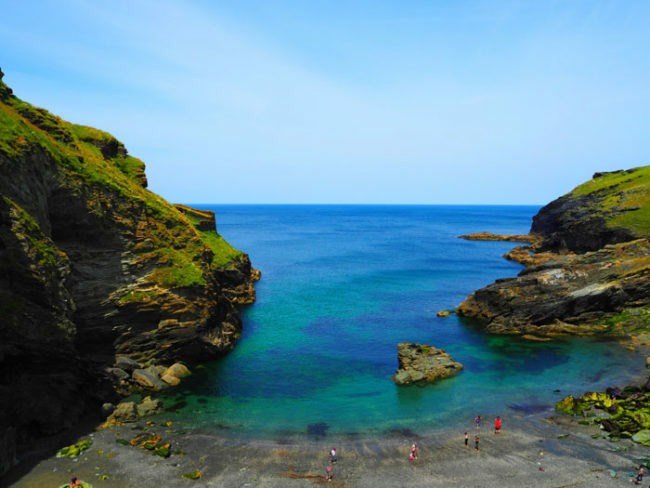 On tours departing after March 2018, you also visit Port Isaac. Today, we explore the most westerly tip of England. 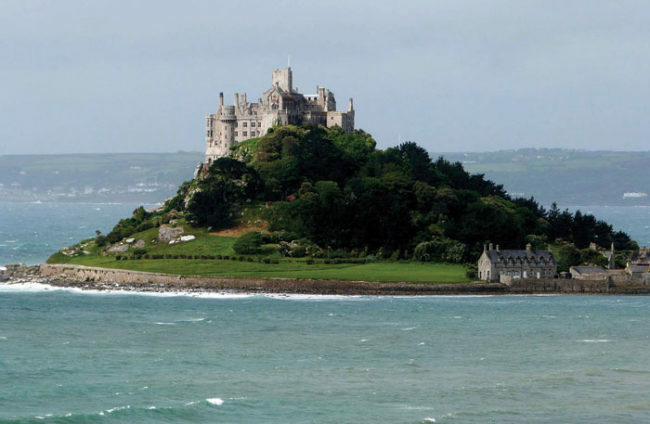 We take a brief stop to look at the island community of St.Michael’s Mount. 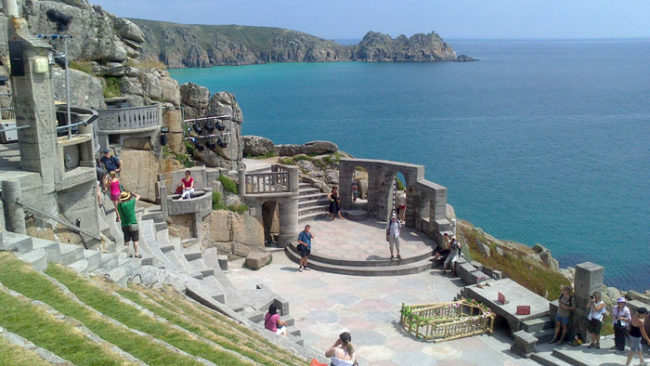 We then travel onwards to the unique setting of the Minack Theatre perched above a thundering ocean and the beautiful National Trust beach at Porthcurno. You visit Land’s End before following a landscape dotted with the relics of the Cornish tin mining heritage, and now a filming location for the Poldark series. St Ives is the final stop of the day with its plethora of artists’ galleries in the maze of narrow, harbour-side streets. You return to Falmouth for the night. This morning, you say farewell to Cornwall and travel across Bodmin Moor, a wild moorland that’s designated as an area of outstanding natural beauty. We’ll take a break before leaving Cornwall and continuing to Glastonbury. 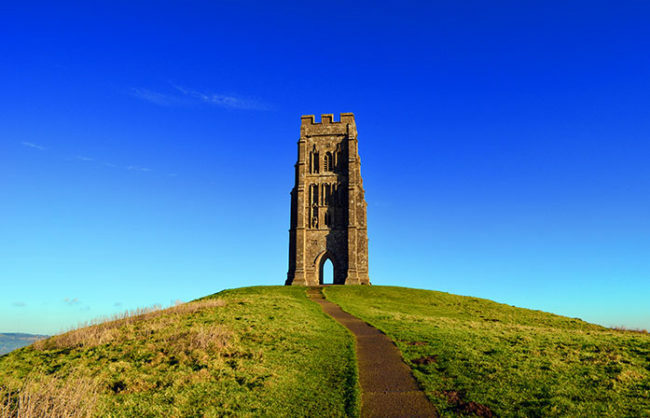 Here you can visit the ruins of 7th century Abbey, relax over some lunch or scale Glastonbury Tor for the views across five counties. From here, you travel back to London, a busy city far removed from the experiences you’ve enjoyed in the magical counties of Devon and Cornwall. You can understand why this land is full of folklore. The fossils on the beaches resembled King Arthur’s slayed dragons. The stones of Stonehenge looked like they could have been moved by giants. And who could have known what beasts lurked the in misty, craggy climes of Dartmoor. On this tour, we enliven your imagination and take you to all of Devon and Cornwall’s mystic landscapes and hidden-away alcoves. You experience Norman Cathedrals, Roman towns, harbour villages, beautiful beaches, ruined castles, and more. But watch out; because spend enough time here, and you may start to believe some of the mythical tales yourself. 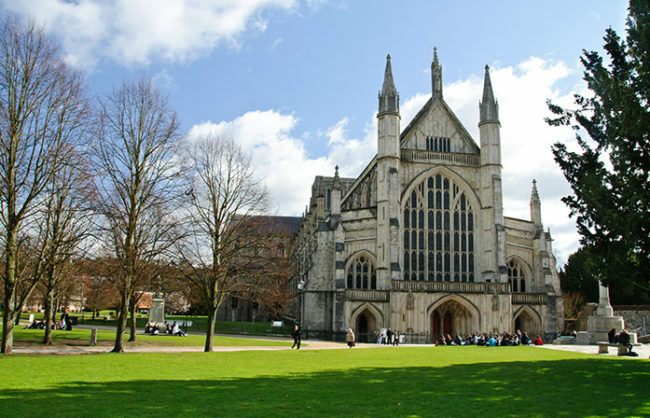 Winchester – An ancient city dominated by the statue of Alfred the Great and an impressive Norman cathedral. Stonehenge – Witness the iconic Neolithic stone structure of the standing stones and gaze in awe at the capabilities of our ancestors. Dartmoor – Roam this distinctive craggy landscape and take a glimpse at the Dartmoor ponies grazing in the shadow of the granite outcrops. Exeter – Stroll through this ancient Roman city, from the magnificence of its gothic cathedral to the city’s medieval underground passages. Boscastle – One of the last remaining unspoilt harbour villages in the British Isles, the medieval harbour and its charming fishing boats are a joy to see. Tintagel Castle – This ruined castle full of Arthurian legend is perched on cliffs above an immense cave full of magic. Lands End – This iconic location is lined with coastal paths and cliff trails. 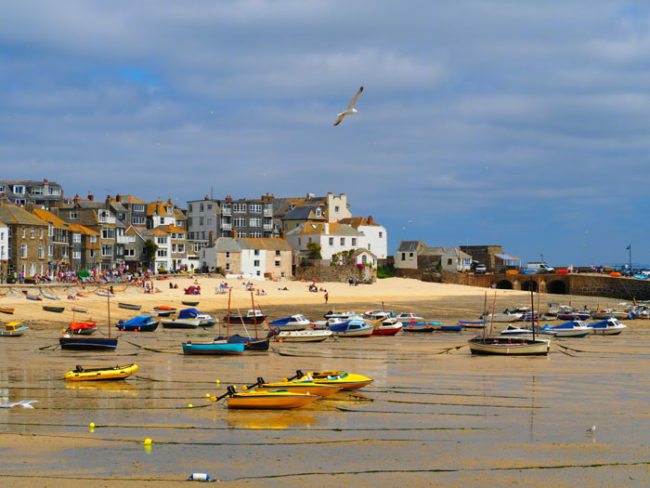 St. Ives – An artists’ haven for over 100 years, with galleries on narrow streets and a beach that’s a surfers’ paradise. Glastonbury – A significant religious and spiritual site infused with stories of early Christianity, Arthurian legend, and pagan culture.